By CNN'S JENNIFER AGIESTA CONTRIBUTED TO THIS REPORT. 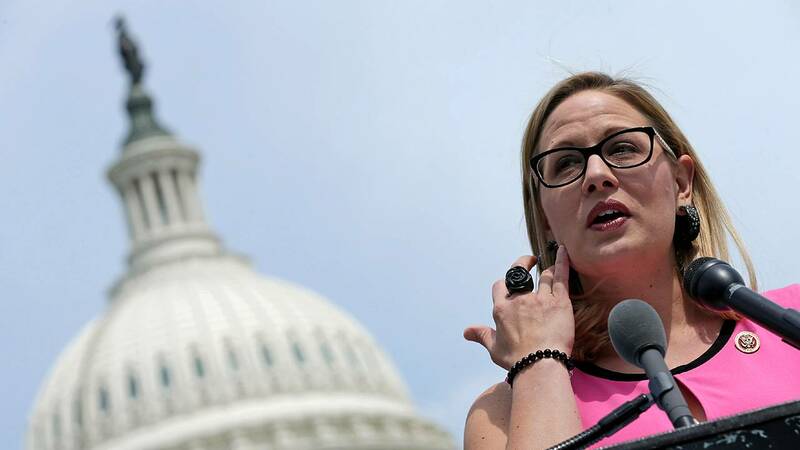 (CNN) - Democratic US Rep. Kyrsten Sinema has pulled slightly ahead of Republican Rep. Martha McSally in the close race for US Senate in Arizona. As of a few minutes before 8 p.m. ET Thursday, Sinema held a slim lead with 49.1% of the vote, while McSally was right behind with 48.6% of the vote, with 83% of the vote reported, CNN results show. Nearly 9,000 votes separate McSally from Sinema. Sinema's lead comes after roughly 127,000 votes in Maricopa County -- the state's most populous county, which includes Phoenix -- were counted Thursday. Thousands of votes still remain to be counted in the state. Individual counties in Arizona will continue to update their vote counts periodically until ballots are certified. "Arizonans must have faith that their votes are counted, and we are working diligently to ensure that count proceeds in a fair, transparent, and timely manner that voters can trust," Sinema for Arizona campaign manager Andrew Piatt said in a statement. The Arizona contest is one of three key Senate races that remain undecided. The two members of Congress have been duking it out for Sen. Jeff Flake's seat, left open by his retirement. Either candidate would make history as the first woman to represent Arizona in the Senate. Donald Trump won Arizona by 4 points in the 2016 presidential election.